Brand new sock yarn from CoopKnits! We are so excited to be working with Rachel Coopey on her new sock Yarn range "Socks Yeah!" Socks Yeah is a soft but hardwearing sock yarn available in 10 marled colours carefully chosen by Rachel Coopey to coordinate beautifully together. 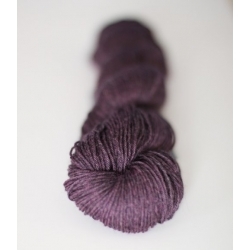 This yarn comes in 50g skeins, great for stripes, colourwork and contrast heels and toes on socks, the yarn is also perfect for hats, shawls and mittens, as well as crochet projects. 75% Superwash Merino, 25% Nylon, 212m per 50g. 9sts per Inch on a 2.25mm Needle. Machine wash on a cool Temp. "Socks Yeah!" from Coopknits There are 7 products.